What does a Dental Ceramist do? There are many departments within a Dental laboratory all are intrinsic to the perfect end result. One of the artistic and skilled job roles is a Dental Ceramist, which is the final part of the process of making a tooth or teeth. 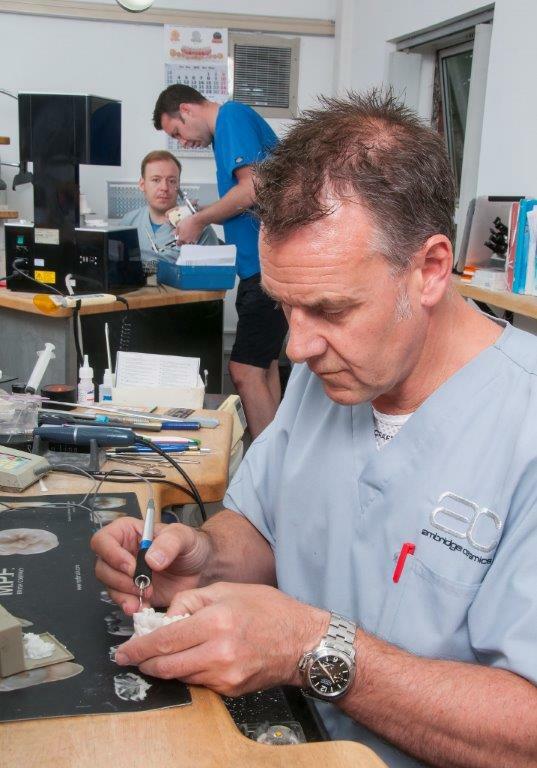 The Dental Ceramist is a highly skilled dental technician who uses state of the art dental materials made from scientifically engineered dental ceramics to restore any teeth that are damaged, discoloured or missing. Why Haven’t I Heard Of This Type Of Dental Technician? Due to the nature of their work, dental ceramists are based within a dental laboratory rather than a dental clinic. This is why many patients never meet or interact with this member of the dental team, even though the dental ceramist is key to creating the most natural, most desirable results in any laboratory custom made dental restoration. To create your smile and restore your confidence, our ceramists knows that they must truly understand exactly what you want to achieve with your dental restoration. Before your treatment begins, they can meet with you and your dentist to discuss your personal needs and aspirations. Thereafter, they will continue to work with you throughout each stage of your restoration, attending key appointments to work side-by-side with your Dentist.